Cones of white paper sprout from the seasalt-eroded pillars of one colonial building along Havana’s seafront, elaborately painted curtains cascade from another while out front children play with an installation of multicolored hoses. Cuba considers dissidents to be mercenaries in the pay of the United States trying to subvert the government. 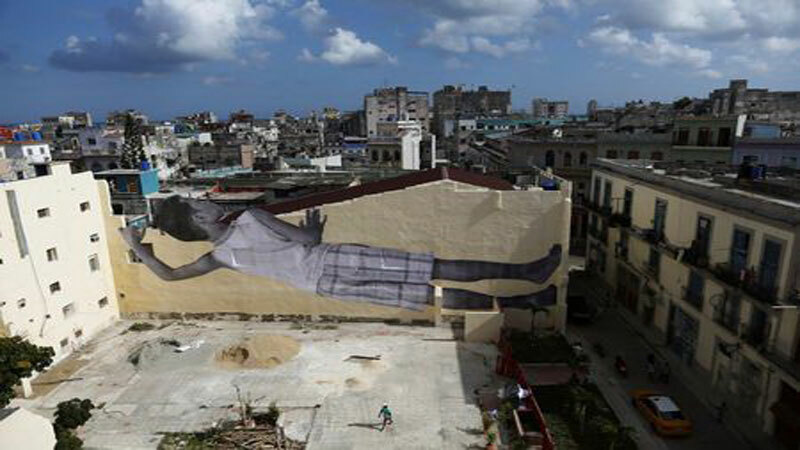 The Havana Biennial runs until May 12.